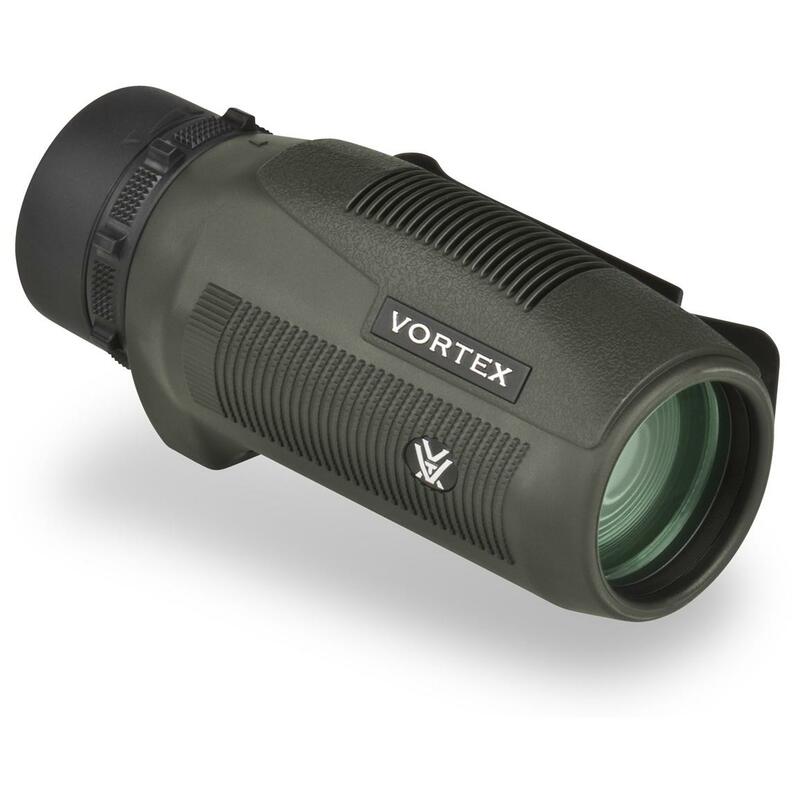 Vortex® Solo 8x36mm Monocular. A great addition to anyone's gear list. Bowhunter, backpacker, birdwatcher, tourist. Bring the world a bit closer with this compact, easy-carry Monocular that's as ideal for sporting and checking out wildlife as it for reading small print and traveling in an unfamiliar city. Whip it out to look at birds and other feathered and furry creatures, but also to read street sign names, or what's down a particular street or block. Fully multi-coated lenses give you extreme clarity. Adjustable eyecup twists up and down, for comfortable viewing with or without eyeglasses. Plus it's waterproof, with optics sealed with o-rings to keep moisture, dust and debris from getting inside. Fogproof, too, thanks to nitrogen gas purging. Durable rubber armor for a secure, non-slip grip and external protection. Included integral utility grip lets you attach it to flat-edged surfaces for quick access. Includes neck lanyard and carry case. 4 9/10 x 2 3/5", 9 7/10 ozs. A quality optic, close at hand. Order this Monocular ONLINE today!